Two little birdies sitting in a tree! 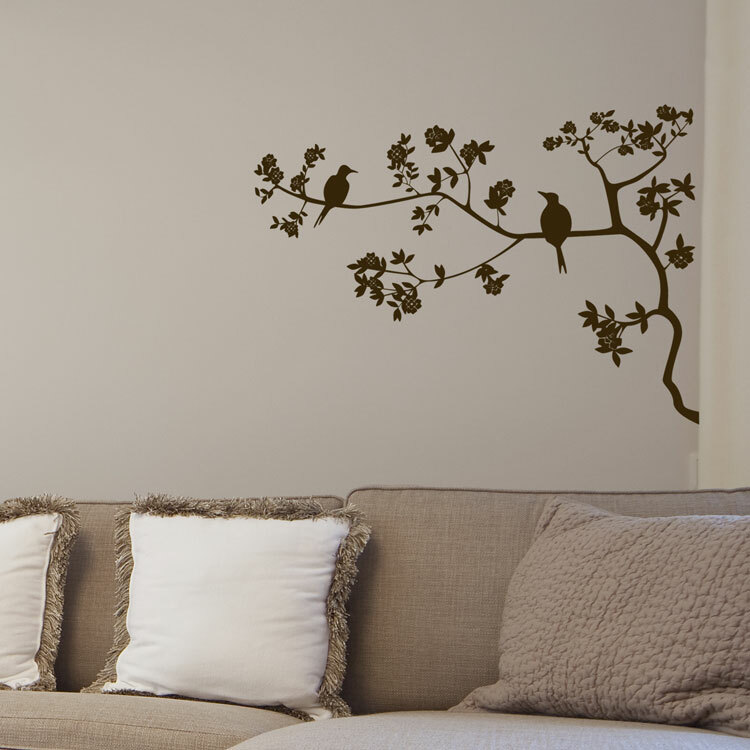 This cute vinyl wall decal is shown here in Dark Brown matte, but is available in all of our other colors! This decal measures 22" tall by 33.5" wide. May be sized according to your needs! Just let us know as pricing will vary slightly.